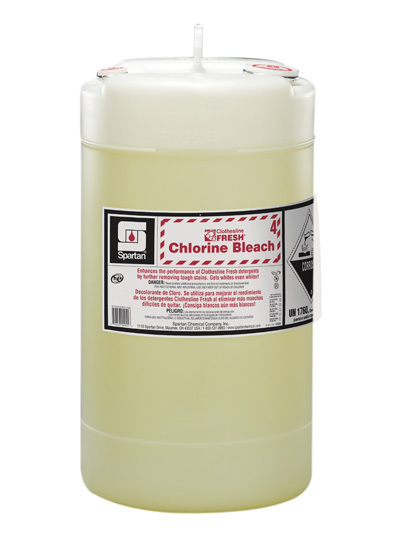 Clothesline Fresh Chlorine Bleach is a chlorine-based bleach that enhances the performance of Clothesline Fresh Laundry Detergents and aids in the removal of tough stains. Formulated with the power of sodium hypochlorite, an inorganic chlorine source, which brightens and whitens fabrics. Clothesline Fresh Chlorine Bleach is used to eliminate stains the detergent operation was unable to remove.